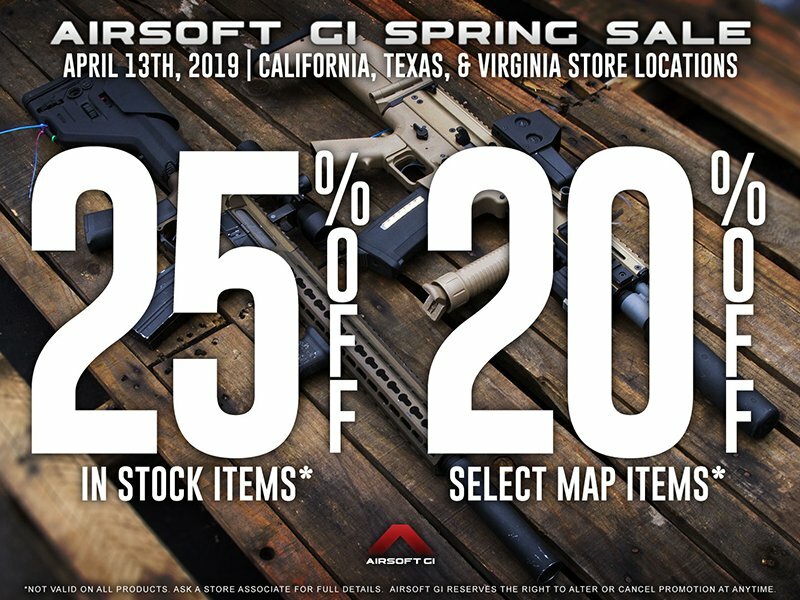 Located at 21077 Commerce Point Drive, Walnut 91789, Airsoft GI’s Southern California store is situated conveniently in between most of the prolific airsoft fields in the area. Here, you’ll find everything needed to begin a venture into the wide world of airsoft. 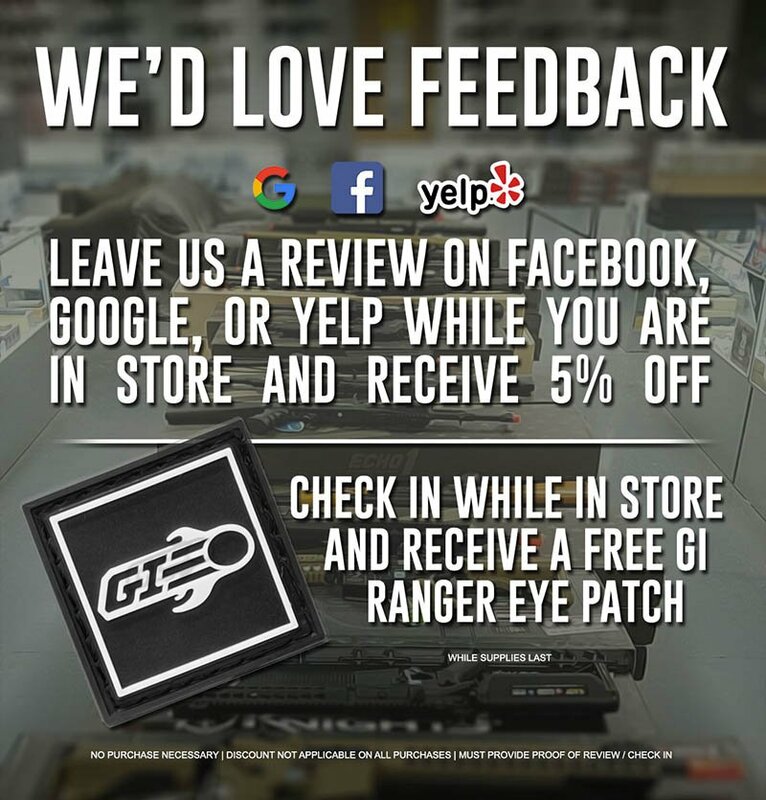 A huge collection of airsoft guns, airsoft gun accessories, and tactical gear await customers inside the store with a number of our well trained customer service representatives waiting to assist with purchases. 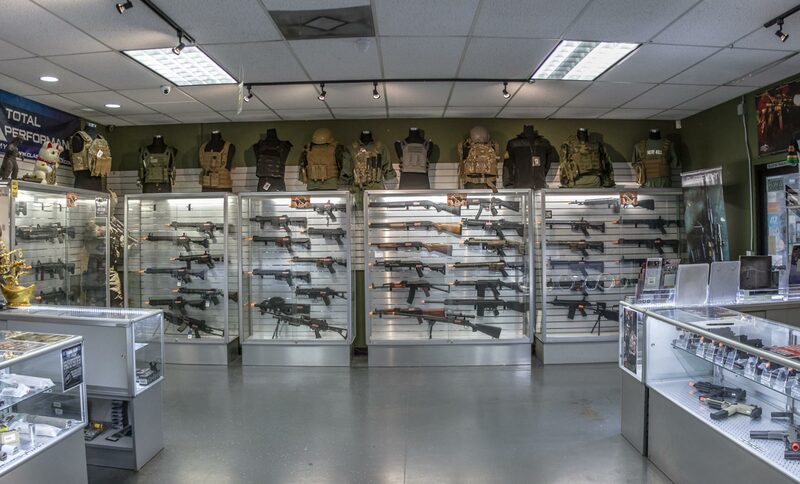 Nearly the entire inventory of most airsoft companies is hanging on the wall ready for customers to handle. 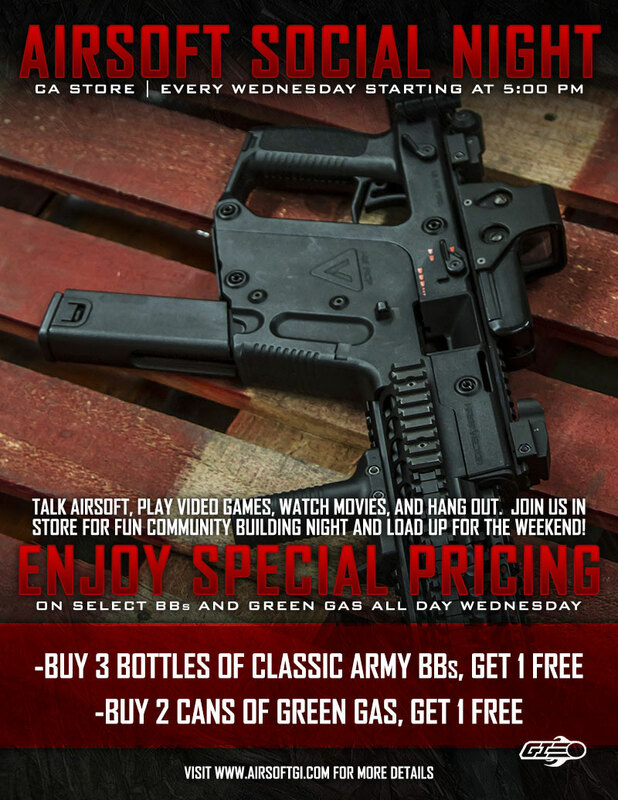 Located inside is also a shooting range for testing airsoft guns and for casual plinking. For the tech savvy, there is also a chronograph to check the velocity of their new airsoft gun build. Upgrades, both internal and external, are also on display for those looking to get more performance out of their rig. The backroom is literally covered in tactical gear ranging from chest rigs to full face masks. No matter the question, our famous customer service representatives are there to assist. All of them are experience players themselves and, between them all, have a vast knowledge of airsoft products. All of them are willing to listen and work with whatever situation customers present them. They will assist customers with all the questions they may have. They will help young players discover what load out works best for them. 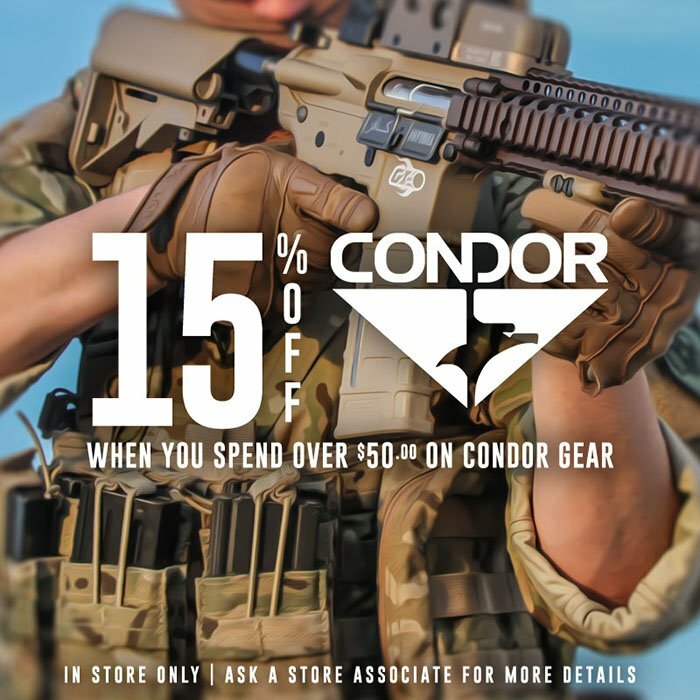 They will tell buyers how to properly upgrade their airsoft gun to become a beast out on the field. If the customer service team doesn’t know the answer; they will find out. 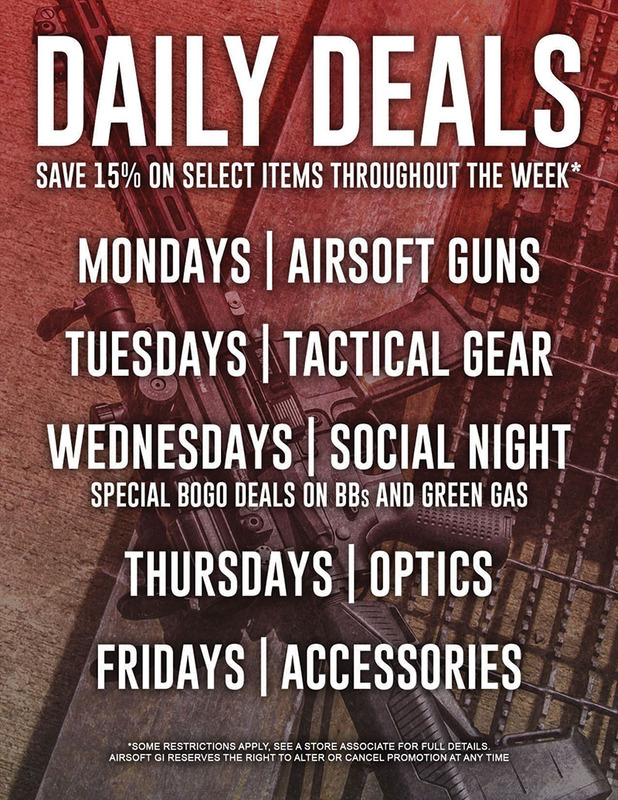 So, if you’re interested in buying your first airsoft gun, building a new tactical gear set up, or just looking for experienced airsoft players to chat with, the Airsoft GI Walnut store is the place to be.